POTASSIUM – Potassium is the major intra cellular cation. Very low value: Cardiac arythemia. 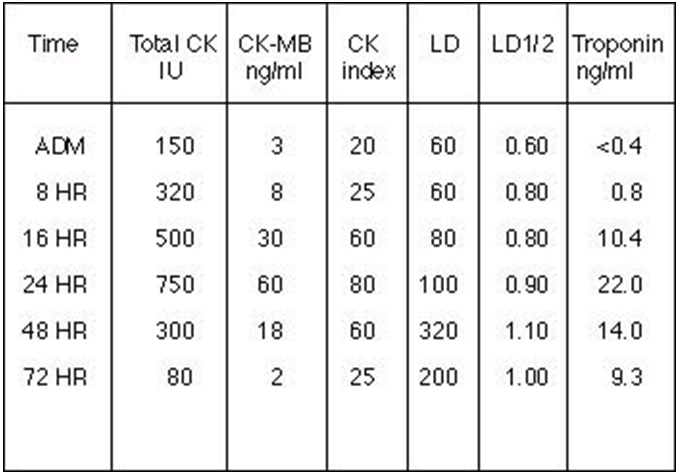 BUN/CREATININE – T his calculation is a good measurement of kidney and liver function. T3-UPTAKE – I ncreased levels are found in hyperthyroidism, severe liver disease, metastatic malignancy, and pulmonary insufficiency. Decreased levels are found in hypothyroidism, normal pregnancy, and hyperestrogenis status. 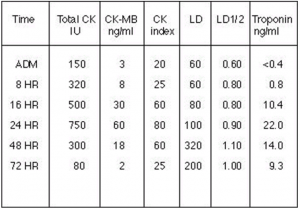 LDH-1 and LDH-2 LDH isoenzymes – Compare LDH 1 and LDH 2 levels. Normally, the LDH-1 value will be less than the LDH-2. 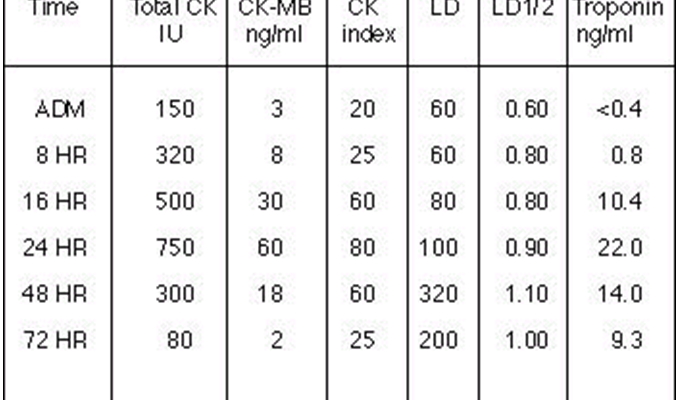 In the acute MI, however, the LDH 2 remains constant, while LDH 1 rises. When the LDH 1 is higher than LDH 2, the LDH is said to be flipped , which is highly suggestive of an MI. A flipped pattern appears 12-24 hours post MI and persists for 48 hours. This entry was posted in Nurses' Notes and tagged hematocrit value, hematology, hematology value, hemoglobin value, platelet count. Bookmark the permalink.